This project aims to provide an overview of paediatric surgery to healthcare professionals working in primary, secondary and tertiary care involved in the surgical care of children. The 32 sessions across three modules cover a broad range of topics and are presented in a structured and interactive manner designed to focus the learner on key objectives within each subject. 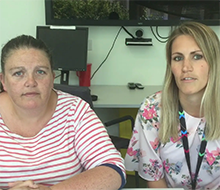 Paediatric nurses talk about their experience of using the e-learning sessions. 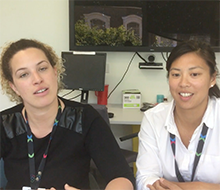 Paediatric trainees talk about their experience of using the e-learning sessions. Module 1 covers acute and non-urgent surgical conditions commonly seen in children and is designed towards the primary care clinician or practice nurse. Module 2 is aimed at surgeons and nursing professionals involved in the general surgery of childhood. Topics range from consent and basic fluid management to the routine surgical conditions seen such as foreskin pathology and undescended testes. Module 3 aims to provide paediatric surgeons and clinical nurse specialists with a broad understanding of specialist paediatric surgery. Topics covered range from anatomical and physiological differences seen in newborns and children to key index conditions such as atresias, congenital anorectal anomalies and pelviureteric junction obstruction. If you already have an account with e-LfH, then you can enrol on to the Paediatric Surgery programme by logging in to the e-LfH Hub, selecting My Account > Enrolment and selecting the programme. You can then access the programme immediately in the My e-Learning section. 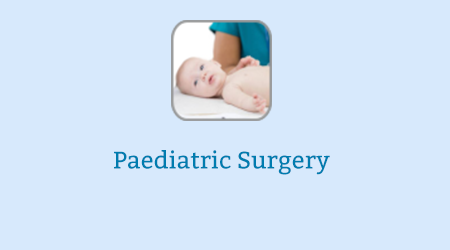 The Paediatric Surgery programme is also available to NHS healthcare staff via the Electronic Staff Record (ESR). Accessing this e-Learning via ESR means that your completions will transfer with you throughout your NHS career.